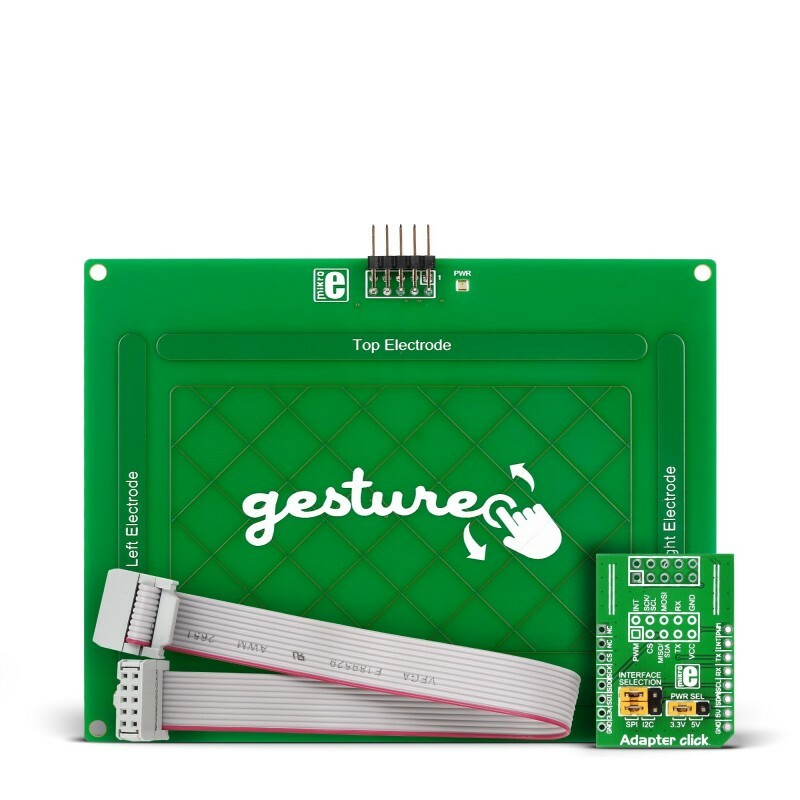 The Gesture board, carrying Microchip’s MGC3130 3D gesture recognition controller, brings a new approach to designing intuitive user interfaces. 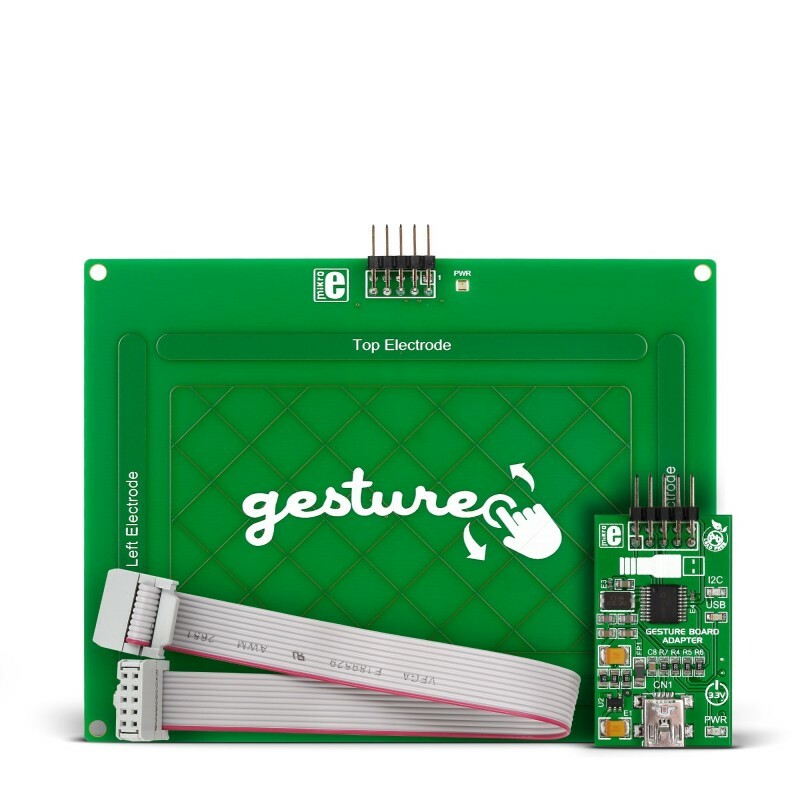 The Gesture board, carrying Microchip’s MGC3130 3D gesture recognition controller, brings a new approach to designing intuitive user interfaces. It’s like a touchpad whose input area extends 10cm upwards into space. 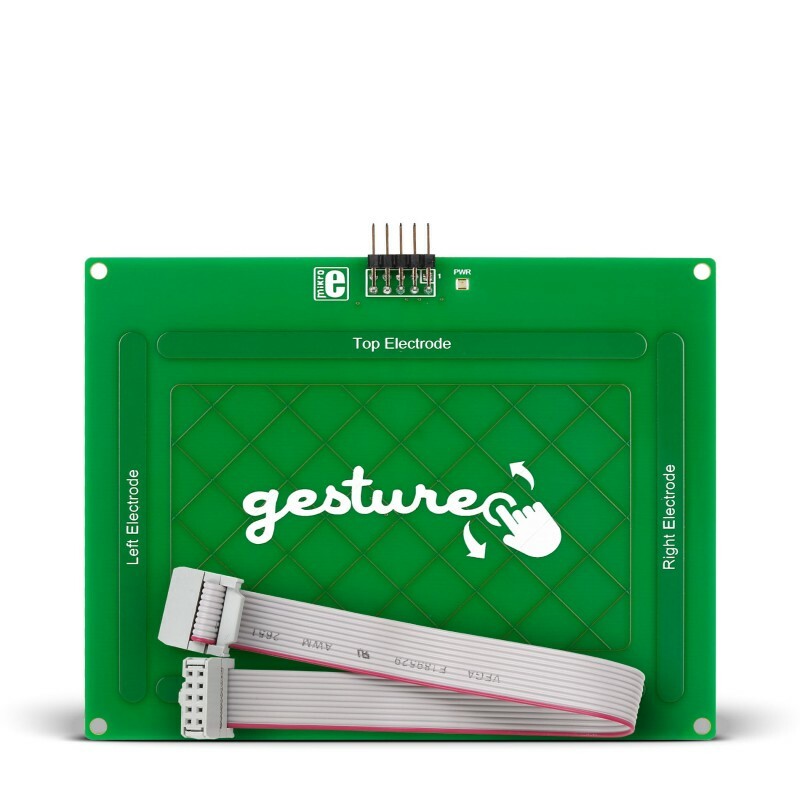 Users will be able to command an MCU or PC by gesturing with hands and fingers above the board, and by touching and tapping its surface. The board comes with an IDC cable connector. The silkscreen on the back of the board depicts various supported gestures (flicking, drawing circles, airwheels, taps and double taps and so on). Two kits are available depending on you requirements. For embedded applications, buy the Gesture Board along with Adapter click (Gesture Board MCU Kit). To use it with a PC, purchase the kit with the I2C to USB adapter board, which we built specifically for this board (Gesture Board PC Kit).